Prof. (Dr.) Y.F. Jayakumar is a Principal, Pendekanti Law College, Hyderabad. Formerly he was Professor and Dean, Faculty of Law, Osmania University and Satavahana University. He is a visitor to Sardar Vallabhai Patel National Police Academy, Marri Chenna Reddy Institute of Human Resources and International Centre for Alternative Dispute Resolution (ICADR), Hyderabad. He is Life Member of Indian Institute of Constitution and Parliamentary Studies, and Member of Governing Council of Indian Law Institute. He authored 3 books on “Horizons of Family Law in India”(2017), “Consumer Law and Redressal Mechanism” (2017) and “Human Rights and New Challenges” (2015) and authored number of Articles in Legal periodicals. Prof. Jayakumar has presented research paper and panel speaker in 5th World Congress, at Halifax, Canada, in 2009 on Socio-legal Aspects of Surrogacy; Participated in Asian Law Institute Conference at Malaysia, in 2010 and presented paper on Conciliation and Mediation in Family Courts; Participated in 9th World Congress at Oslo, Norway, in 2014 and presented paper on Reproductive Health Care Justice. 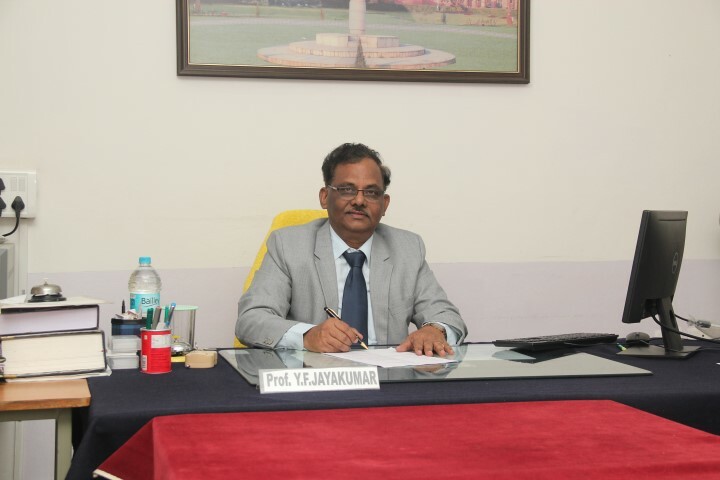 Prof. Jayakumar is subject expert in Family Law, Constitutional Law, Alternative Dispute Resolution and Law of Evidence. He is the co-ordinator for production of e-content program in law based on UGC. Apart from this, Prof. Jayakumar has an association with National Law Schools, Universities and other Academic Bodies in India as Subject-Expert as UGC-Nominee. As on today he supervised 15 Ph.D’s in Law of different universities in India.